The easiest way to categorize memory is by form factor. The form factor of any memory module describes its size and pin configuration. Most computer systems have memory sockets that can accept only one form factor. Some computer systems are designed with more than one type of memory socket, allowing a choice between two or more form factors. Such designs are usually a result of transitional periods in the industry when it’s not clear which form factors will gain predominance or be more available. As previously mentioned, the term SIMM stands for Single In-Line Memory Module. With SIMMs, memory chips are soldered onto a modular printed circuit board (PCB), which inserts into a socket on the system board. The first SIMMs transferred 8 bits of data at a time. Later, as CPUs began to read data in 32-bit chunks, a wider SIMM was developed, which could supply 32 bits of data at a time. The easiest way to differentiate between these two different kinds of SIMMs was by the number of pins, or connectors. The earlier modules had 30 pins and the later modules had 72 pins. Thus, they became commonly referred to as 30-pin SIMMs and 72-pin SIMMs. Another important difference between 30-pin and 72-pin SIMMs is that 72-pin SIMMs are 3⁄4 of an inch (about 1.9 centimeters) longer than the 30-pin SIMMs and have a notch in the lower middle of the PCB. The graphic below compares the two types of SIMMs and indicates their data widths. Dual In-line Memory Modules, or DIMMs, closely resemble SIMMs. Like SIMMs, most DIMMs install vertically into expansion sockets. The principal difference between the two is that on a SIMM, pins on opposite sides of the board are “tied together” to form one electrical contact; on a DIMM, opposing pins remain electrically isolated to form two separate contacts. 168-pin DIMMs transfer 64 bits of data at a time and are typically used in computer configurations that support a 64-bit or wider memory bus. Some of the physical differences between 168-pin DIMMs and 72-pin SIMMs include: the length of module, the number of notches on the module, and the way the module installs in the socket. Another difference is that many 72-pin SIMMs install at a slight angle, whereas 168-pin DIMMs install straight into the memory socket and remain completely vertical in relation to the system motherboard. 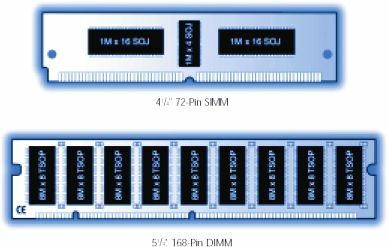 The illustration below compares a 168-pin DIMM to a 72-pin SIMM. 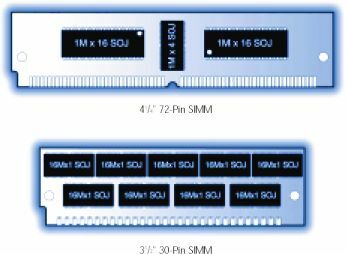 Comparison of a 72-pin SIMM and a 168-pin DIMM. A type of memory commonly used in notebook computers is called SO DIMM or Small Outline DIMM. The principal difference between a SO DIMM and a DIMM is that the SO DIMM, because it is intended for use in notebook computers, is significantly smaller than the standard DIMM. The 72-pin SO DIMM is 32 bits wide and the 144-pin SO DIMM is 64 bits wide. Comparison of a 72-pin SO DIMM and a 144-pin SO DIMM. RIMM is the trademarked name for a Direct Rambus memory module. RIMMs look similar to DIMMs, but have a different pin count. RIMMs transfer data in 16-bit chunks. The faster access and transfer speed generates more heat. 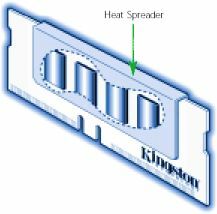 An aluminum sheath, called a heat spreader, covers the module to protect the chips from overheating. A 184-pin Direct Rambus RIMM shown with heat spreaders pulled away. An SO-RIMM looks similar to an SO DIMM, but it uses Rambus technology. Flash memory is a solid-state, non-volatile, rewritable memory that functions like RAM and a hard disk drive combined. Flash memory stores bits of electronic data in memory cells, just like DRAM, but it also works like a hard-disk drive in that when the power is turned off, the data remains in memory. Because of its high speed, durability, and low voltage requirements, flash memory is ideal for use in many applications - such as digital cameras, cell phones, printers, handheld computers, pagers, and audio recorders. Before SO DIMMs became popular, most notebook memory was developed using proprietary designs. 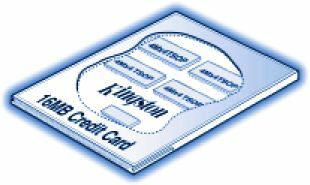 It is always more cost-effective for a system manufacturer to use standard components, and at one point, it became popular to use the same “credit card” like packaging for memory that is used on PC Cards today. Because the modules looked like PC Cards, many people thought the memory cards were the same as PC Cards, and could fit into PC Card slots. At the time, this memory was described as “Credit Card Memory” because the form factor was the approximate size of a credit card. Because of its compact form factor, credit card memory was ideal for notebook applications where space is limited. 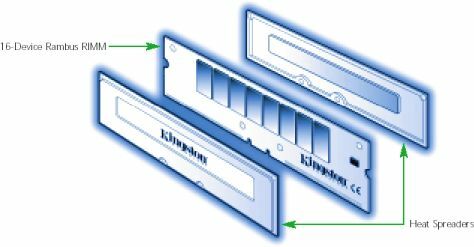 PC Cards use an input/output protocol that used to be referred to as PCMCIA (Personal Computer Memory Card International Association). This standard is designed for attaching input/output devices such as network adapters, fax/modems, or hard drives to notebook computers. 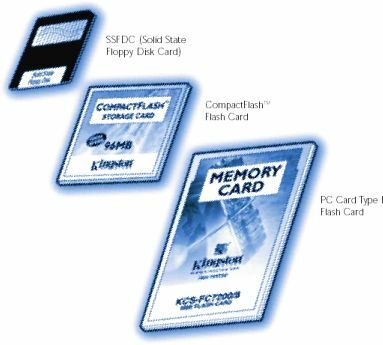 Because PC Card memory resembles the types of cards designed for use in a notebook computer’s PC Card slot, some people have mistakenly thought that the memory modules could be used in the PC Card slot. To date, RAM has not been packaged on a PCMCIA card because the technology doesn’t allow the processor to communicate quickly enough with memory. Currently, the most common type of memory on PC Card modules is Flash memory. On the surface, credit card memory does not resemble a typical memory module configuration. However, on the inside you will find standard TSOP memory chips. This section presents the most common memory technologies used for main memory: This road map offers an overview of the evolution of memory.